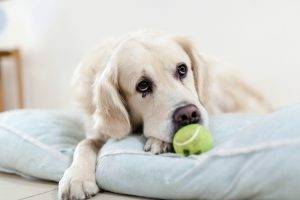 When we address the issue of nutrition and selecting all natural dog food brands for our dogs, it can become a difficult and exhausting task. I know firsthand the literally thousands of various brands out there, and selecting which one that would be safe, healthy and nutritional for our pet is all-important. So how do I know if the selection I make regarding the foods I buy are the appropriate ones? Let’s explore this a little further and hopefully I can ease your anxiety when it comes to answering this question. Healthy dog food is a growing concern amongst pet owners as the often well known brands that were considered dependable have been revealed to produce unhealthy foods with poor quality ingredients. Finding quality dog food can be quite a challenge so it is important to understand what dogs should and should not be eating. Many brands of pet food supply highly processed options which are incredibly unhealthy for an animal. When I look through the ingredients on the labels of dog food I make sure that the first ingredient is protein enriched and does not contain meat byproducts. Items like cornmeal have no value to a dog and are often used as mere filler. A vegetarian diet (I personally don’t use this) is much better than the cheap commercial brands on sale. 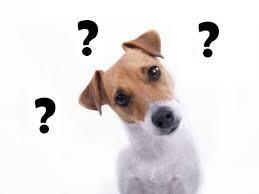 Dogs need protein but it can be derived from sources other than animals. Holistic (natural) dog foods are also a healthy option as they contain human grade ingredients and are entirely natural. Keep in mind that preservatives may be needed to keep the food fresh but they do not have to be artificial or unhealthy. In essence, I alleviate these concerns by reading the label. Raw food diets are also popular options as healthy dog food as they are considered to be the most natural options for a dog. Probably the best way to ensure that your dog is eating healthy dog food is to create it yourself based on the nutritional requirement advice given to you by your vet upon examination of your dog. A raw food diet is not one I use either, although the nutritional benefits are real. Pet owners (I was guilty of this) who feed their dogs cheap and processed brands of food may notice that their animals do not have as much energy as other dogs, have dull coats and are often sick, with many visits to the vet. The best and quickest solution to this is to switch to natural dog food, providing them with the wholesome nutrition they need to flourish. A well balanced and nutrition enriched diet will clear up a lot of the mentioned side effects of a poor diet. Switching to healthy dog food should be done slowly however, as the dog needs to get used to a different type of diet and a total detox from their previous diet. I learned this the hard way! The dog may even turn his nose up at healthy dog food at first but gradually it will become his first choice. I would advise adding the natural food to the diet slowly in addition to the old food. Splitting the portions will ease the dog into the new diet. Steadily add more healthy food and offer less of the cheaper stuff until your dog’s diet consists solely of healthy, natural food. The long-term benefits provide a multitude of reasons to do this. Thank you so much for this article. I think is pet owners we could always do a little bit better with their pets. Maybe not everybody but definitely the people in my circles. My son just lost his dog not too long ago. He apparently went out and caught some kind of animal STD. It was very hard watching him go through that. 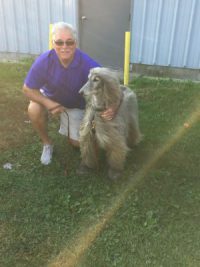 But I am so glad now that we have found this website we can at least look at ways to feed our next dog and to care for our next dog in the most natural manner. Thank you so much for this helpful and insightful article. I look forward to reading more from you in the future. Thank you Michelle. So sorry to hear about your son’s dog. Never easy, I know. Best to you as well! Hello there! I just adopted a puppy and I love him so much and I want the best for him. I want him to grow healthy but I don’t know how and where to start. I read your article and I found it very informative and helpful since I’m new to taking care of dog. I think giving the most nutritious food for the dog will make him grow healthier compare to giving cheap food. Thank you for sharing this information. Thanks John, and best of luck with that new puppy! Hi! 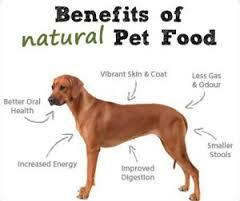 Thanks so much for this wonderful article on the benefits of natural dog food. I guess you could compare dogs to humans in that, if we went around eating McDonalds three times a day every day, I doubt we’d be very healthy. Raw diets seem to be on trend right now. Can you recommend any good brands? Hello Barb, and thank you. In terms of brands, I would suggest Fromm for your dry food and Whole Earth Farms for the can food. They are what I feed my dogs, and have been very satisfied with both. Thanks again Barb, best wishes to you!